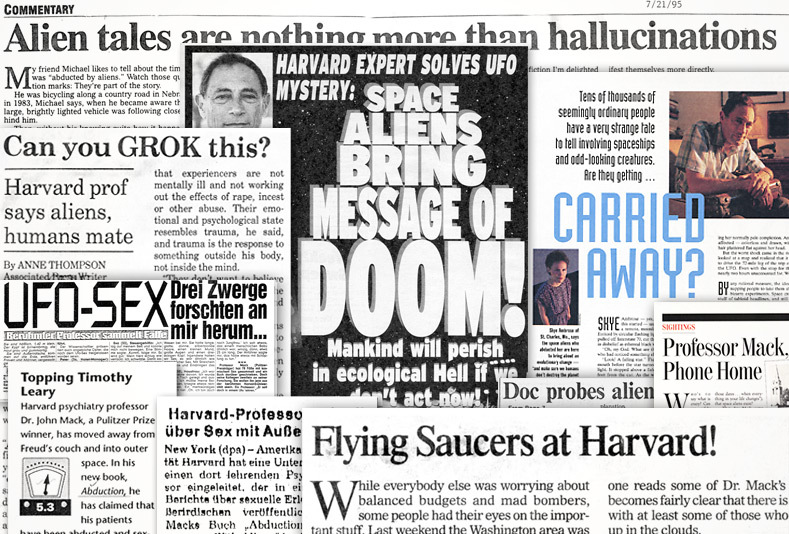 Witness transcripts and tapes of Harvard colleagues secretly testifying against Dr. Mack. 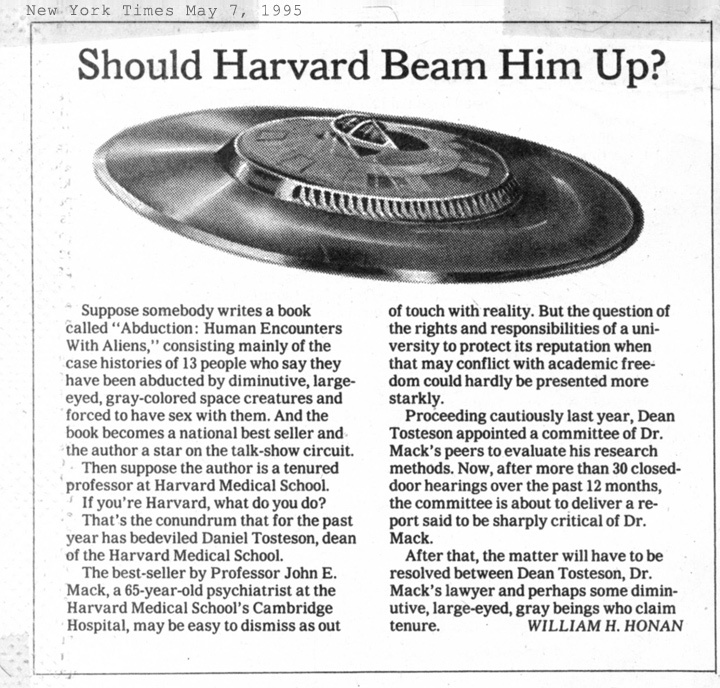 Confidential correspondence between Dr. Mack, his attorneys and his adversaries at Harvard. Access to Dr. Mack’s family, lifelong friends, and many of the brave men and women who shared their alien encounters with Dr. Mack. 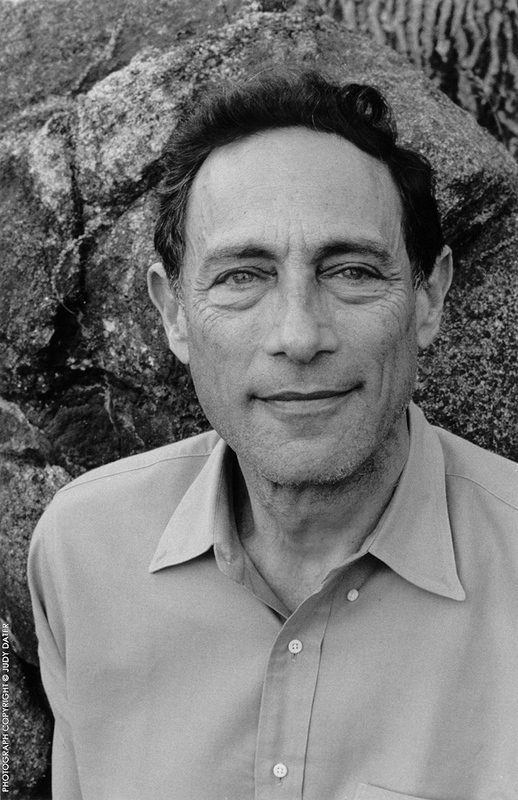 Harvard Psychiatry Professor and Pulitzer Prize-winning author, Dr. John Mack, a celebrated man of science, lost everything when he reluctantly agreed to work with alleged alien abductees and drew a conclusion that completely shattered and transformed his worldview and his life. 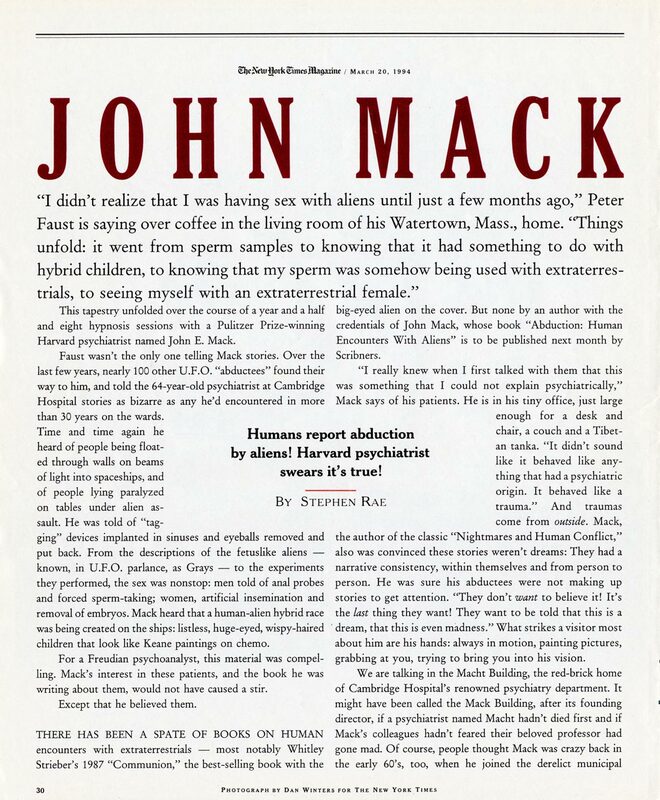 Dr. John Mack was a highly respected tenured Harvard psychiatrist — brilliant, skeptical and mainstream. 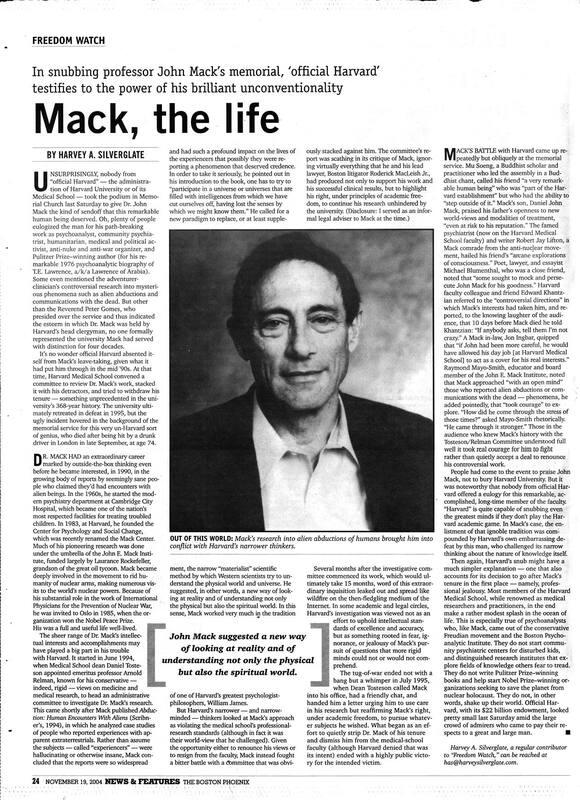 Handsome and charismatic, John Mack counted the Rockefellers, British aristocracy and the Dalai Lama among his friends. His awards included a Nobel Peace Prize that he shared with an international association of doctors against nuclear arms, and a Pulitzer Prize for his psychoanalytic biography of Lawrence of Arabia. New York artist Budd Hopkins had been a sympathetic ear for “abductees” for years, but was now overwhelmed and ill-equipped to help them. 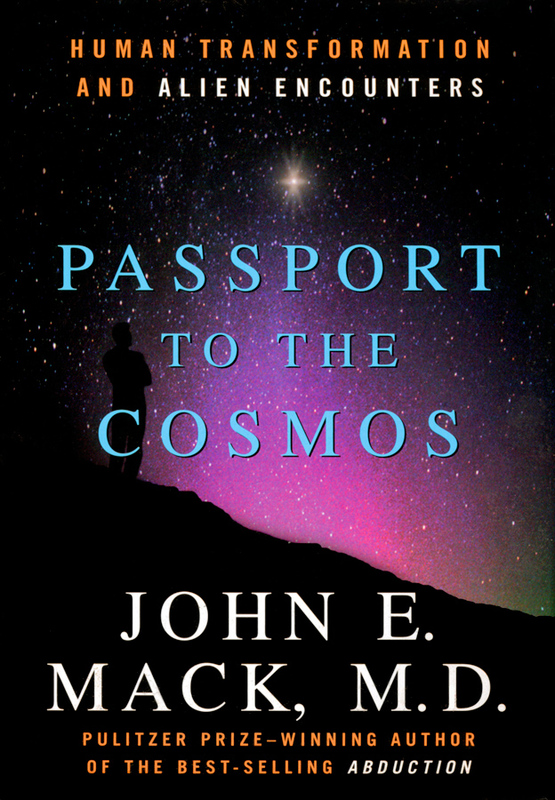 He sought out Dr. Mack, and with great skepticism, John agreed to meet him. Hopkins handed him a box of unopened letters. “I think they're perfectly sane, but you're the psychiatrist — you decide.” John's interest was piqued. 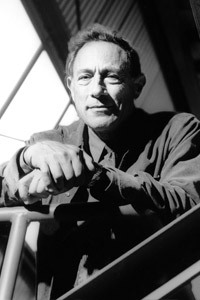 John traveled the world and corroborated identical abduction stories with African shamans and Australian Aborigines. 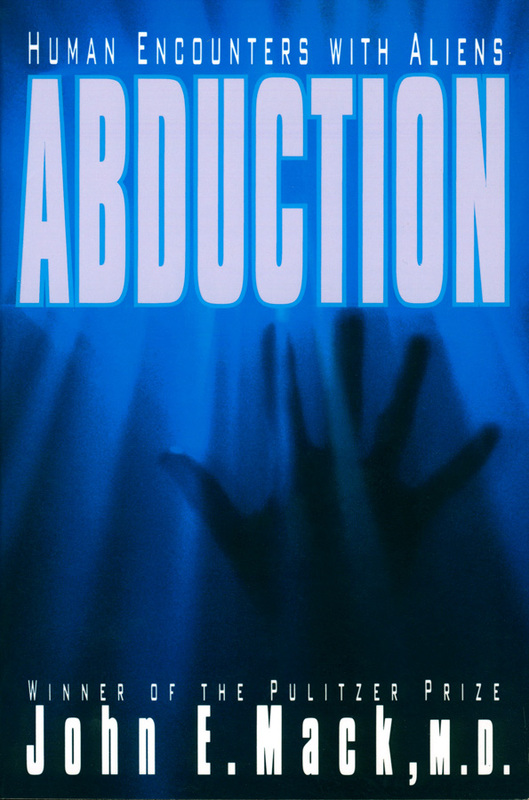 He came to believe that the abductees were not only telling the truth, but that what they'd learned from their experiences is crucial to the survival of humankind. When Dr. Mack documented his findings in his NY Times best-selling book, Abduction, he was mocked in the press and ridiculed by his colleagues. The Dean of Harvard Medical School, embarrassed and fearing the entire university was in danger of becoming a laughing stock, appointed an ad hoc Faculty Committee to privately determine if he had jeopardized his future at Harvard – the first-ever inquiry of its kind of a tenured professor. News of the secret committee was leaked to the public. Dr Mack endured an increasingly bitter 14-month long “inquisition”. Once the “It” couple of Cambridge, John's marriage ended under the strain, however his belief that the abductees were telling the truth never waivered. 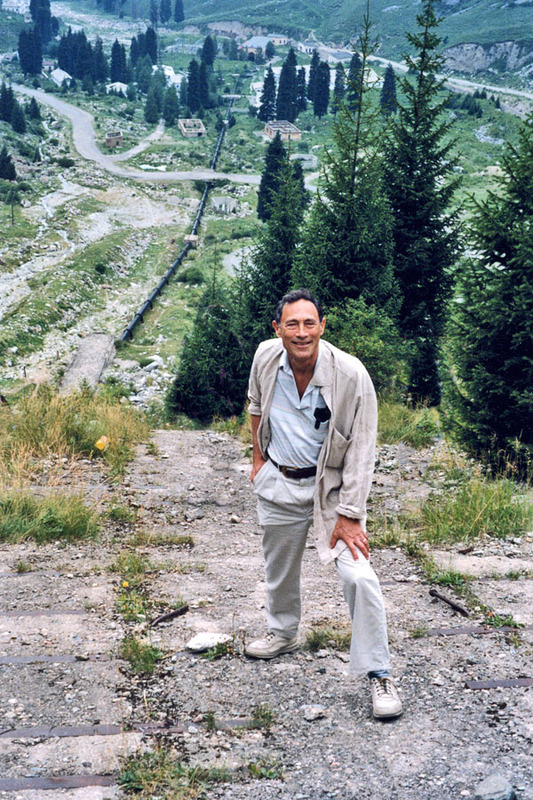 He published Passport to the Cosmos and continued to champion them. 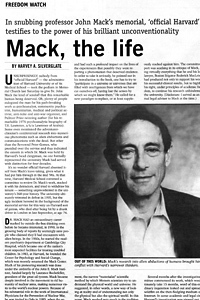 In 2004, in London to present a speech on the anniversary of his Pulitzer, John Mack stepped into the street, was hit by a speeding car and killed instantly. 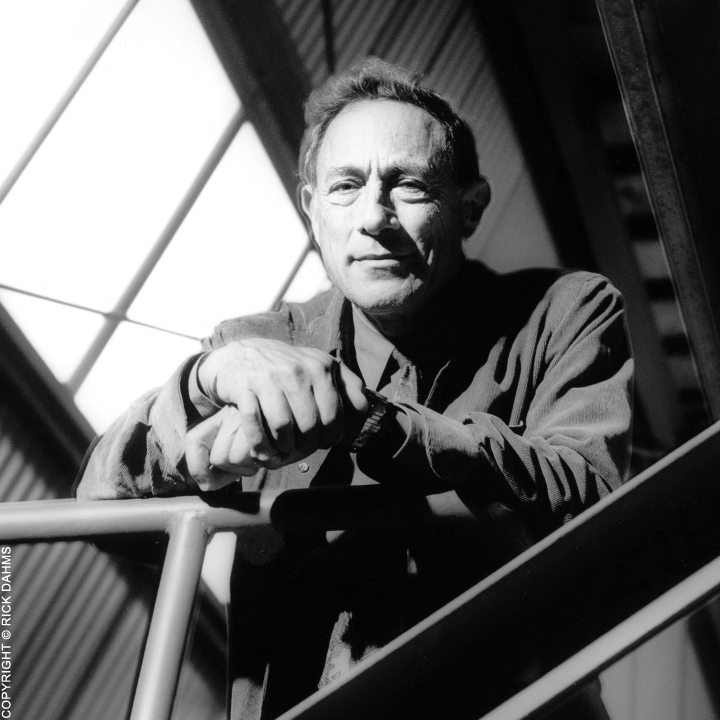 By the end of his life, John Mack was regarded by some as a visionary and modern-day Galileo, and by others as a fool who’d made an error of historic proportions. “I have come to realize this alien encounter phenomenon forces us, if we permit ourselves to take it seriously, to re-examine our perception of human identity – to look at who we are from a cosmic perspective. “These phenomena tell us many things about ourselves and the universe that challenge the dominant materialistic paradigm. They reveal that our understanding of reality is extremely limited, the cosmos is more mysterious than we have imagined, there are other intelligences all about (some of which may be able to reach us), and our knowledge of the properties of the physical world is far from complete. “The secular assumptions about reality, dominant during my university training, were in fact a grand illusion, a materialist superstition that had kept Western thought stranded and imprisoned for the last 300 years. How do the keepers of the dying, yet more traditional paradigm respond to these phenomena? Many raise the cry of ‘pseudoscience’. “The methods of science – hypothesis, testing, rigor, experimentation, control – are valuable and essential for studying phenomena that reside primarily in the material world. But they may be inadequate for exploring matters that straddle the visible and unseen realms. They surely are insufficient for learning about realities beyond the manifest. Here we must rely more upon experience, intuition, non-ordinary states of consciousness, and holistic or heart knowing, thoughtfully and rigorously applied. 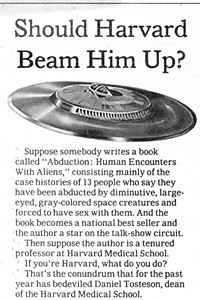 “The alien encounter experience seems almost like an outreach program from the cosmos to the consciously impaired. 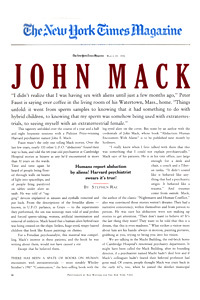 Read a Vanity Fair article about John Mack, Alien Nation: Have Humans Been Abducted by Extraterrestrials?